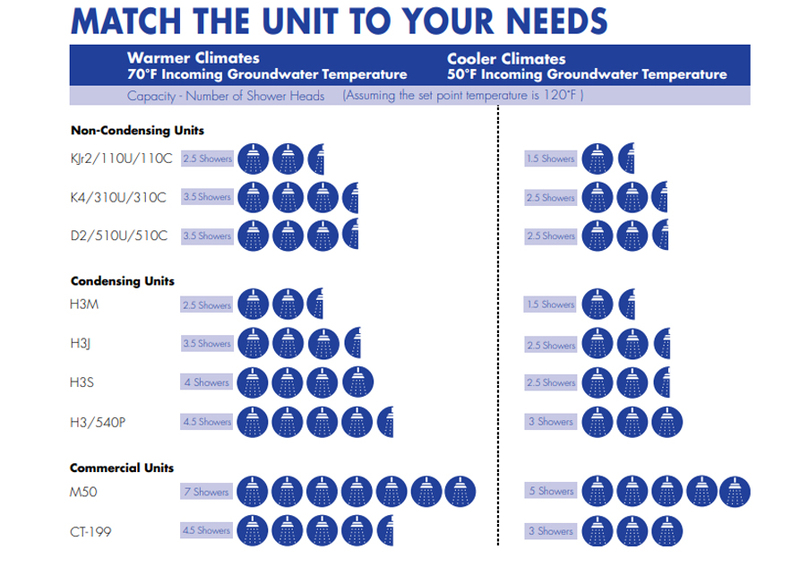 The flow rate capacity of tankless water heaters depends on the temperature difference between the desired output and incoming water temperature. 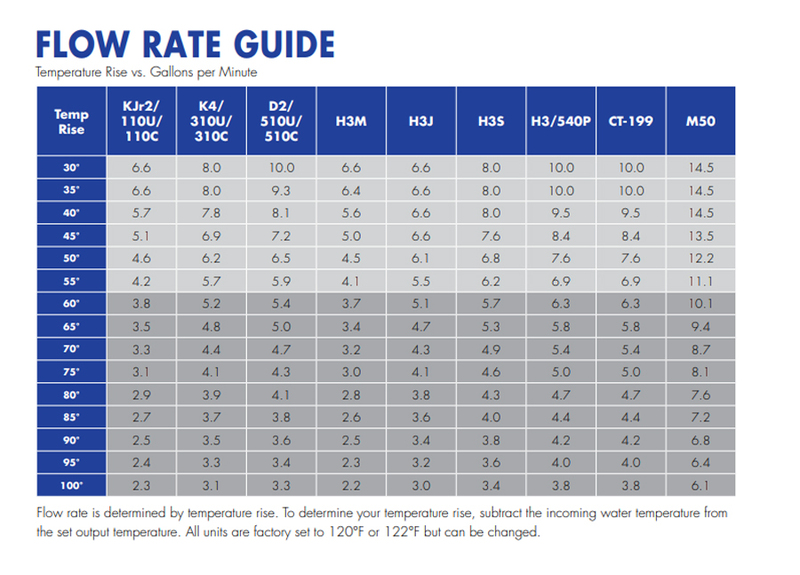 The flow rate comparison chart and table shown below summarize the flow rate charts found in the specifications of each model. 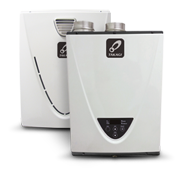 Takagi water heaters are sized according to the peak flow rate requirements, extreme temperature-rise scenarios, and types of applications. Once these factors have been determined, refer to either the flow rate comparison here or the flow rate chart found in each model’s specifications. Select the appropriate water heater as well as the amount of water heaters required. Application designers/engineers can decide whether to size for full flow, expected flow, or utilize probability models such as the modified “Hunter Curve”. For large scale applications such as hotels, apartment complexes, and large restaurants, Hunter Curves are commonly used to estimate the peak flow rate demand when given the total amount of fixture units within an application. It is up to the application designer/engineer to determine the amount of fixture units within any given application.